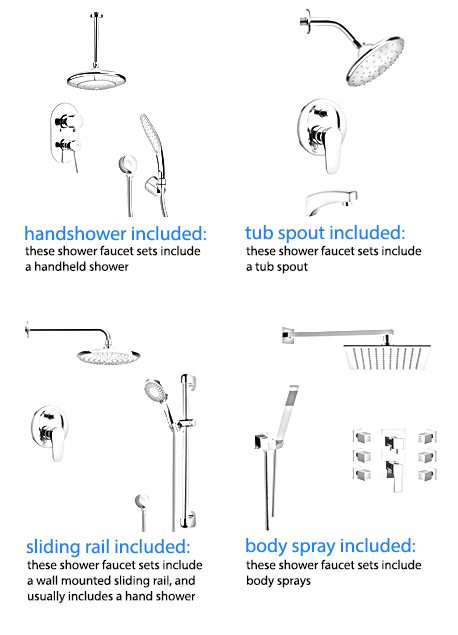 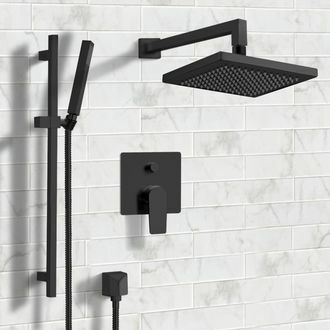 Shop our selection of rain showers and get FREE shipping on all orders over $99! 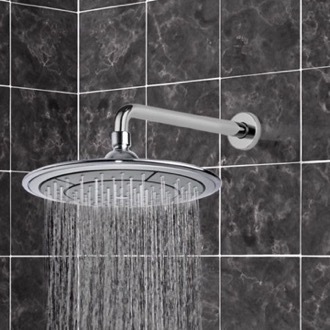 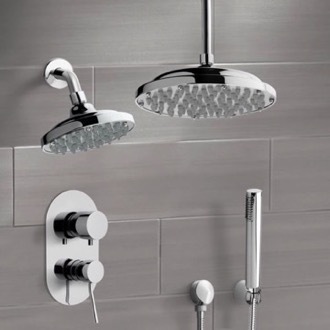 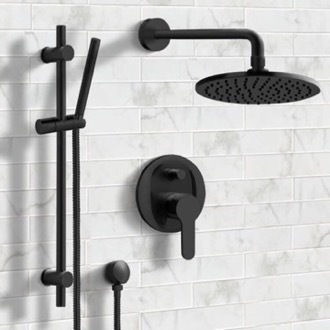 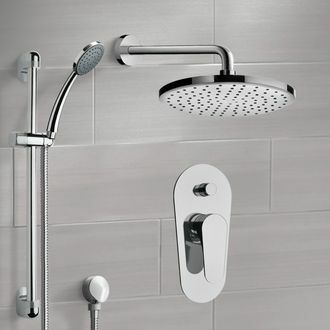 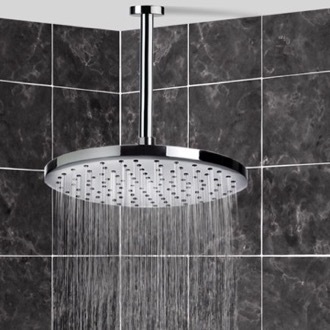 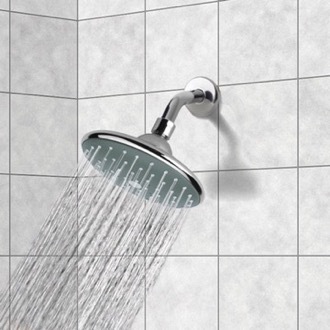 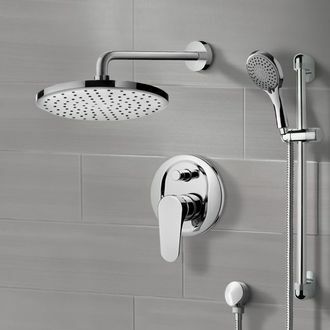 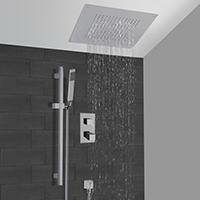 If you've ever dreamed of showering during a storm, a rain shower head may be right for you. 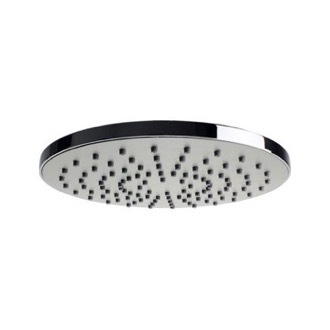 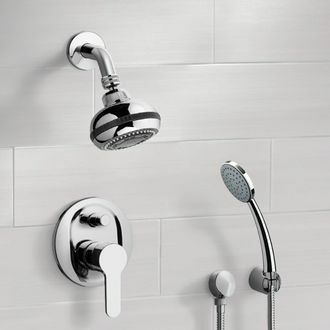 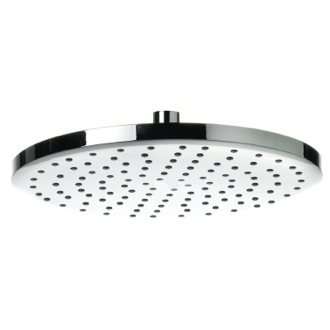 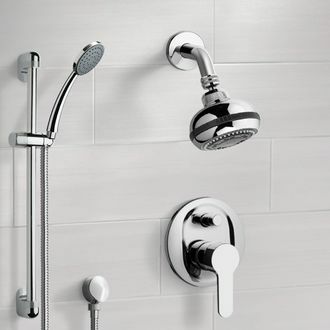 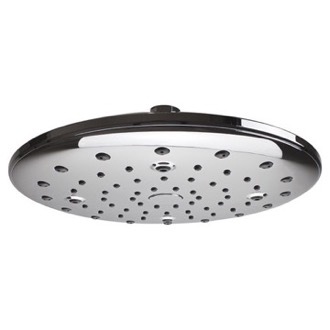 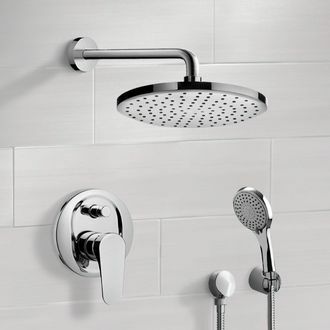 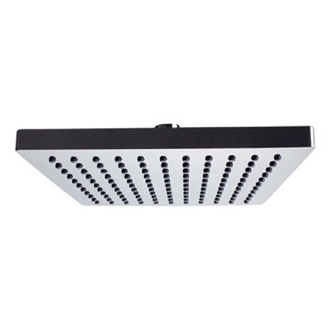 Rain shower heads are larger than standard shower heads, spraying water over a larger area but with a gentler flow. 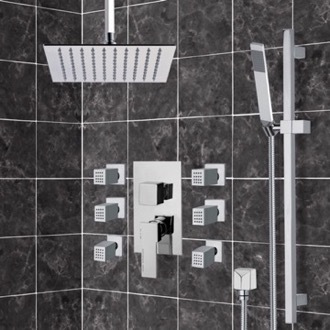 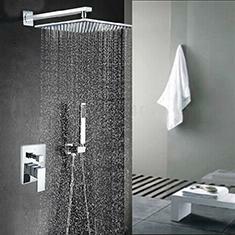 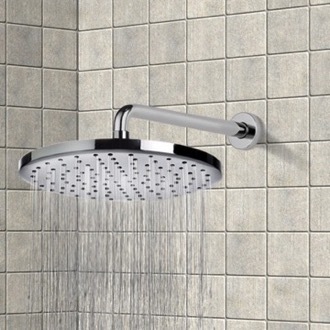 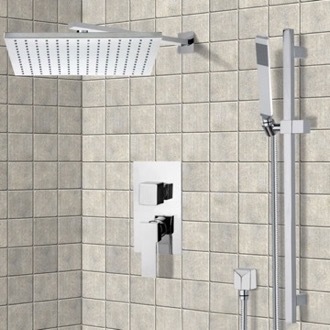 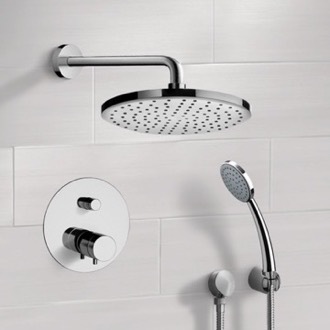 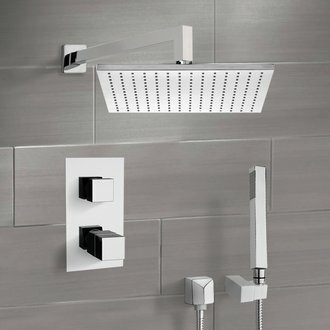 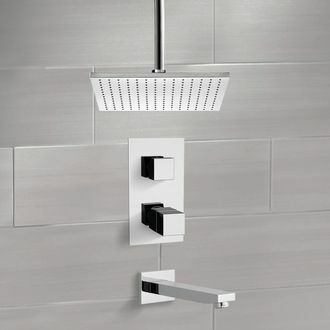 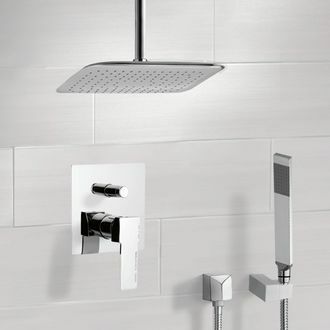 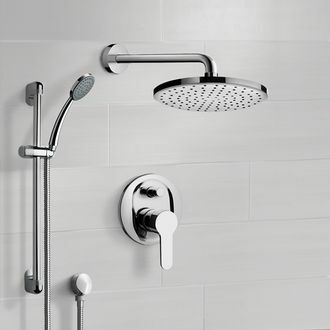 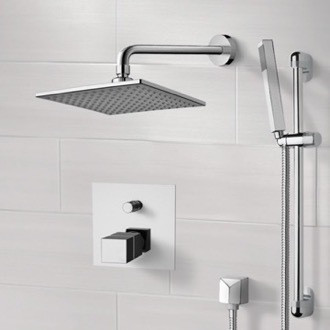 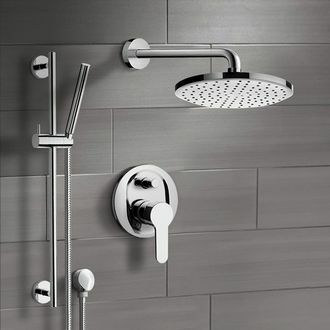 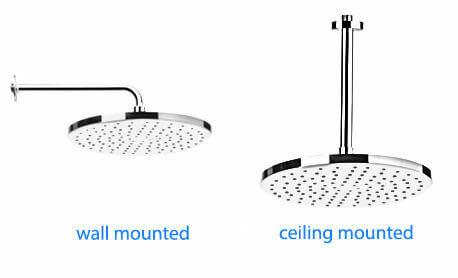 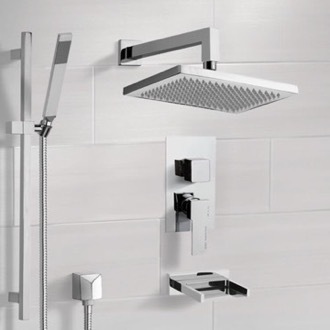 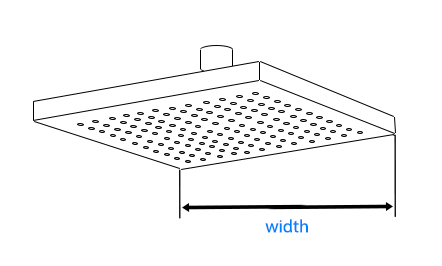 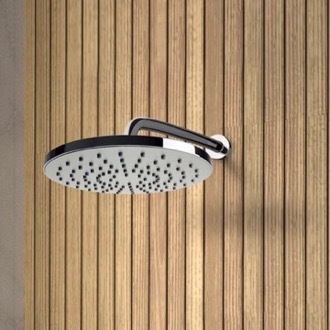 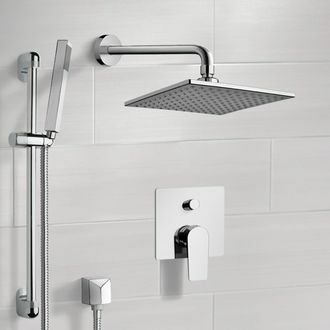 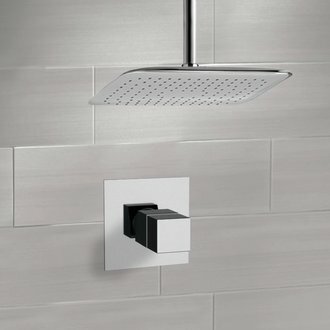 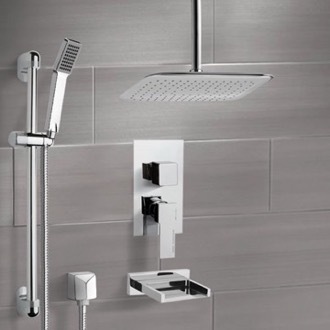 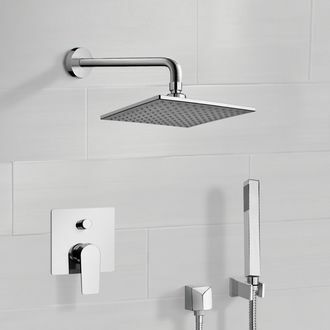 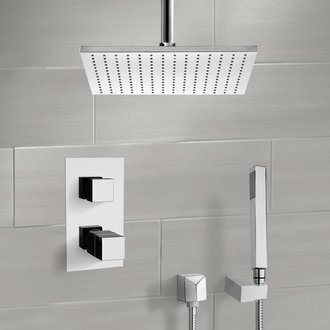 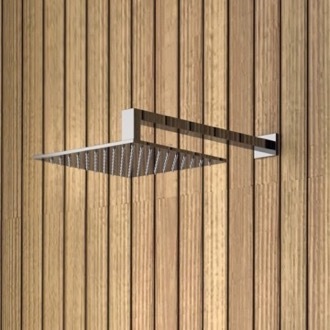 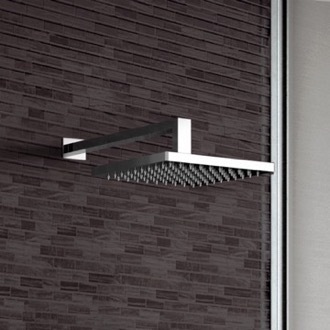 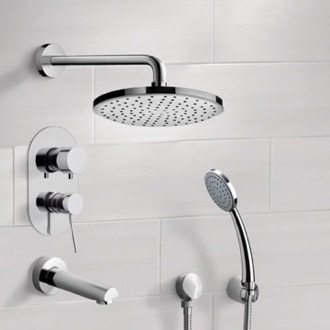 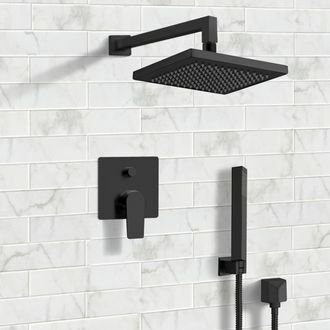 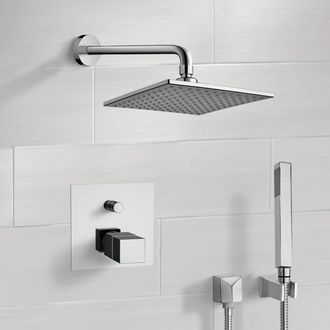 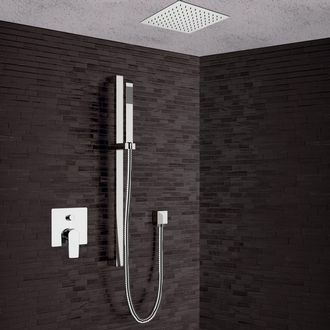 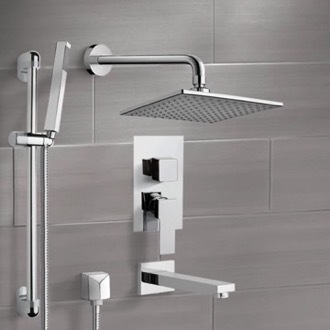 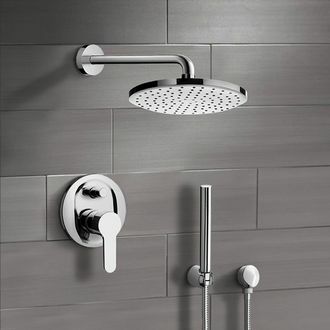 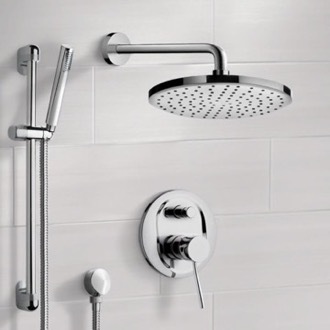 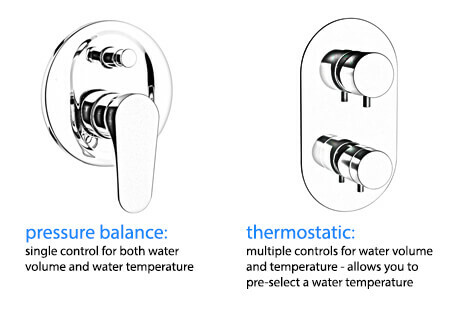 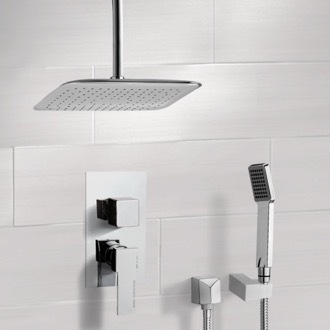 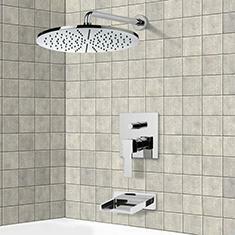 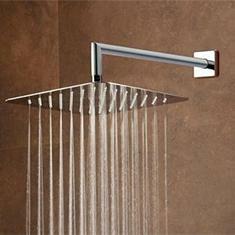 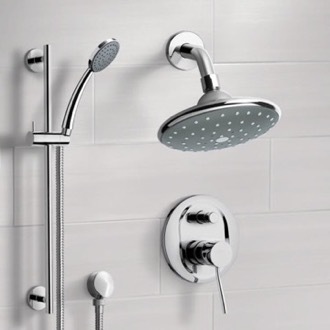 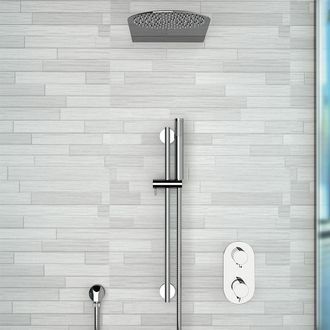 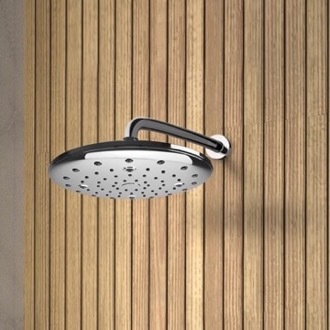 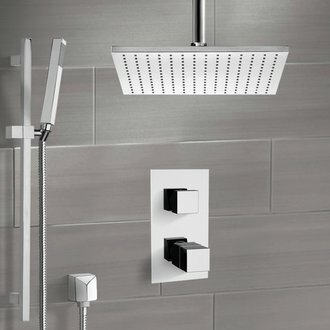 Most rain showers are installed vertically with water coming straight down, but angled rain shower heads exist as well. 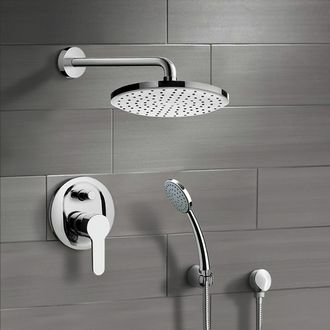 Because rain showers offer a lighter water flow, you may want to look for a shower kit that includes a handheld wand for more concentrated water pressure when you need it.